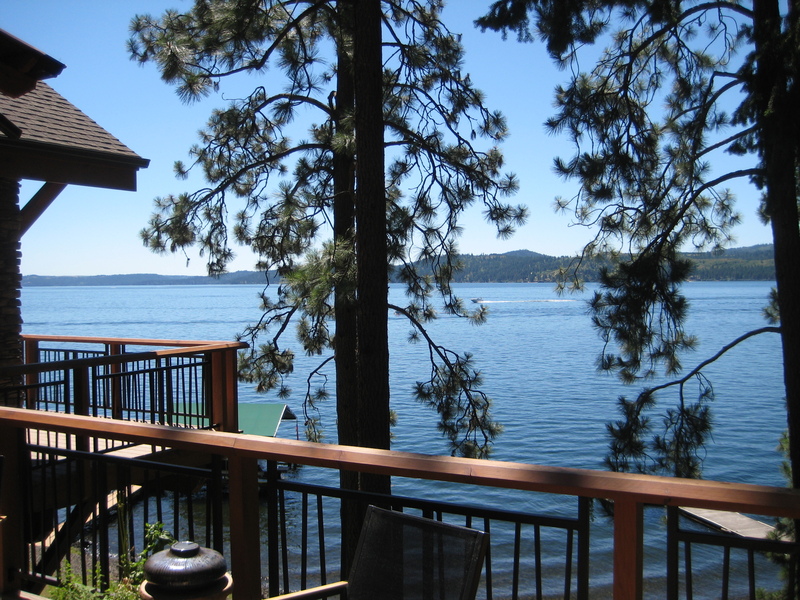 OvS hits the shores of Lake Coeur d’Alene in Idaho! 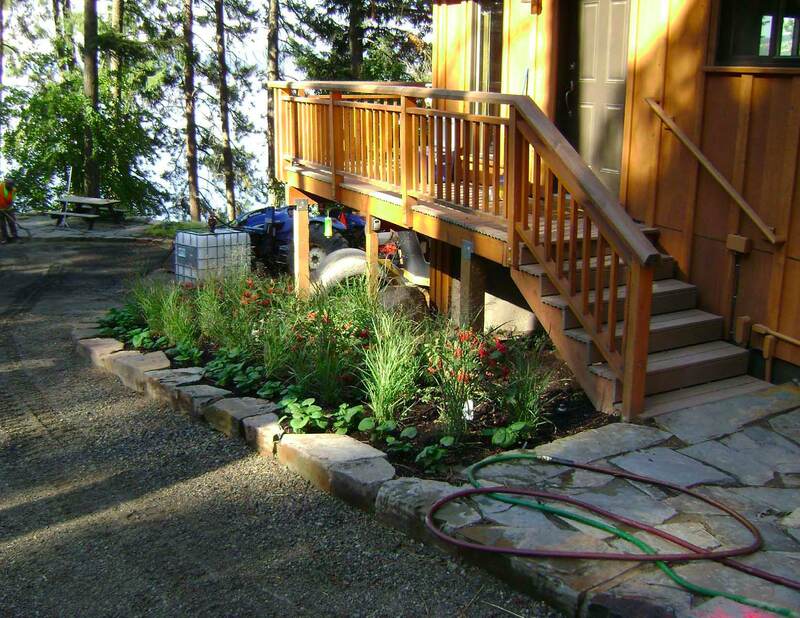 In August 2011, Oehme, van Sweden (OvS) Principal Eric Groft was on site to bring the New American Garden to the shores of Carlin Bay on Lake Coeur d’Alene near Harrison, Idaho. 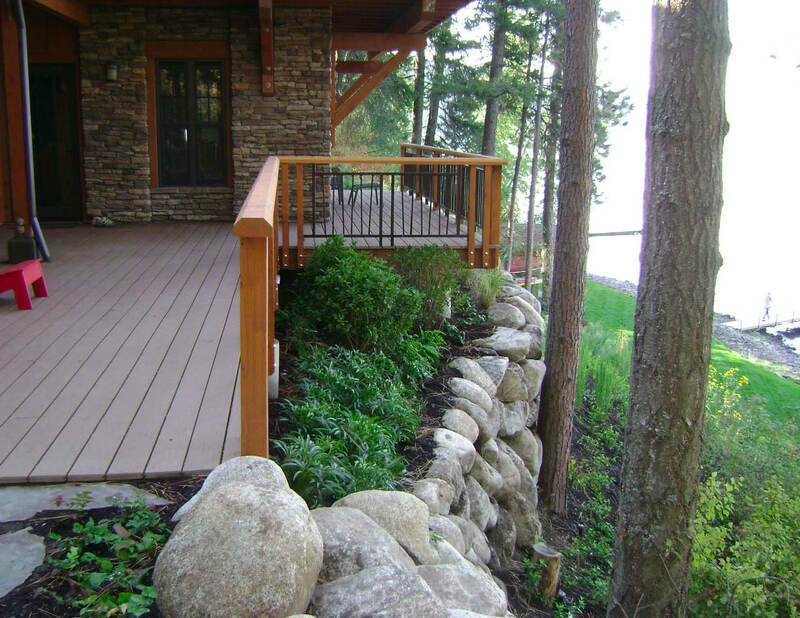 Assisted by Jim Fink of StyleBuilt Construction for grading and hardscape and Aspen Nursery for landscape, the garden was laid out and installed. 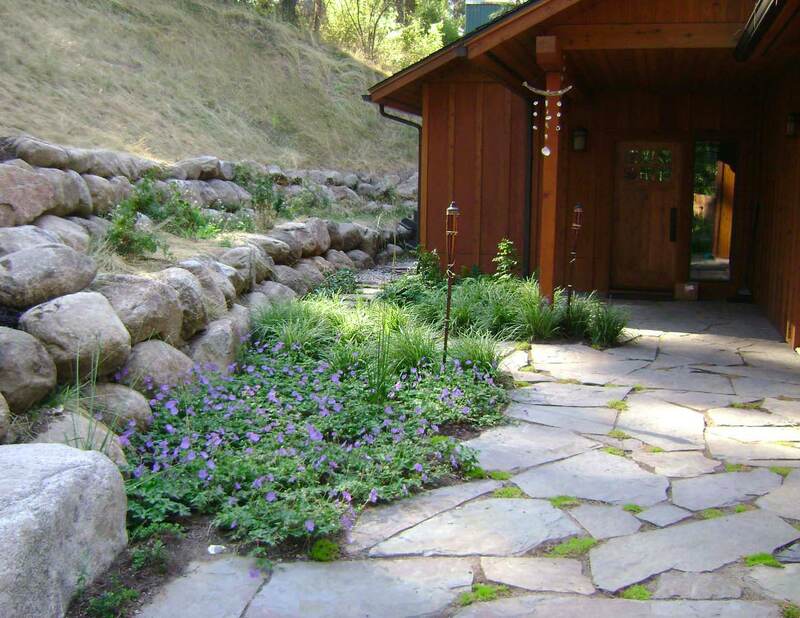 The hardscape included new decks and verandahs, stone terraces and paths using the local Cabinet Gorge paving stone, re-alignment of the driveway paved with a rainbow gravel, enormous slabs of the Cabinet Gorge stone placed along the shore, and the placement of “basking rocks” for sunbathing. 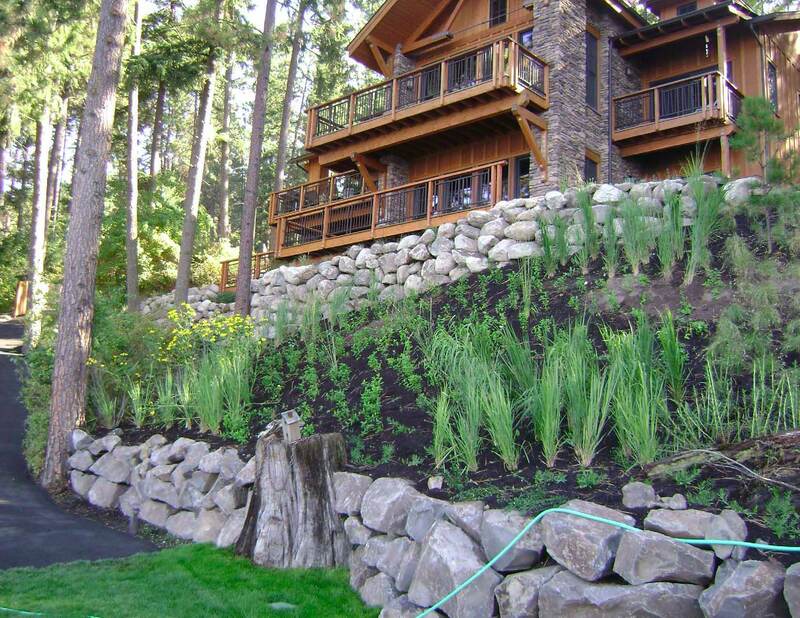 The steep slope is traversed with a new 10% gravel path that will allow gator traffic as well as a Porters Rope to negotiate the steepest slopes from the house to the water’s edge. The Lake Shore features the remants of enormous Cedar stumps up to 12’ in diameter, as well as a greensward of lawn for passive recreation. A new rustic outdoor shower, boathouse and tent platform are organized around a Cowboy Cauldron for outdoor fires and cooking. The site is covered with towering Logpole Pine, Spruce and Fir trees. 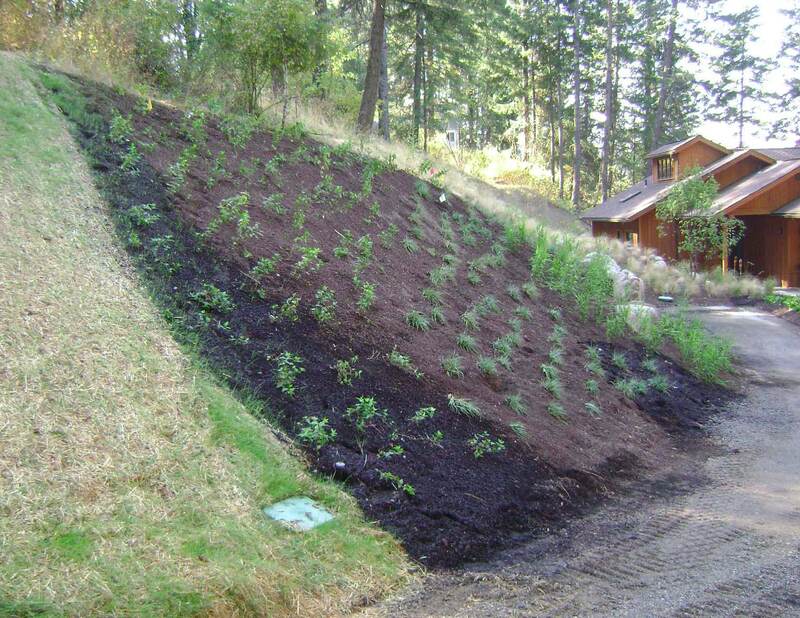 Perennials, grasses, sedges, ferns and ground covers were installed in large swaths to provide a lush backdrop to the rustic garden features as well as sustainable erosion control for the steep slopes that exceed 30% in some areas. In addition to the OvS regulars of Panicum North Wind, Senecio aureus, Pynanthem muticum, Rudbeckia maxima and ‘Herbsonne’, we also used the native Andropogon/Big Blue Grass, Boutelua/Blue Gamma Grass, Bergenia and Mahonia to naturalize the site.